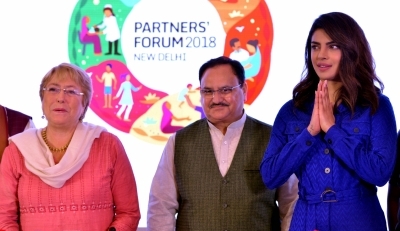 New Delhi April 11 (IANS) Union Health Minister J.P. Nadda on Wednesday said cooperation of all stakeholders is required for the successful formulation of policies and their implementation to improve the health of women children and adolescents. "Convergence between ministries states and stakeholders is critical to achievements of shared goals for health of women children and adolescents " said Nadda at a panel discussion organised by the Ministry and Partnership for Maternal Newborn and Child Health (PMNCH) which is a multi-constituency partnership supported by a small secretariat hosted at the WHO"
Nadda said the government was committed to collaboration for expanding universal health coverage for women adolescents and children at the function which was a curtain raiser event for the 2018 Partners Forum to be held here on December 12-13 2018. The Partners Forum is a global event that provides a platform for learning and exchange between countries on reproductive maternal newborn child and adolescent health. Three earlier Forums were held at Dar es Salaam in 2007 New Delhi in 2010 and Johannesburg in 2014. Highlighting the achievements in health Nadda said India had accelerated its progress towards the target of 90 per cent full immunisation coverage. 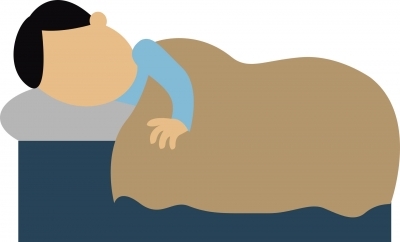 "Earlier the annual increase in full immunisation coverage was one per cent. It has increased to 7 per cent through â€˜Mission Indradhanush . The special intensified drive will focus on improving immunisation to more than 90 per cent by December 2018 " he said. Underscoring the importance of the 2018 Partners Forum former President of Chile and Incoming Chair of PMNCH Board Michelle Bachelet said cross-sectoral and multi-stakeholder partnerships were vital for the progress on improved health. "If we don t invest in women and children we won t be able to achieve the Sustainable Development Goals (SDGs) " said Bachelet. She emphasised the need for global sharing of best practices and technical expertise at the civil society academic private sector and governmental levels to change public discourse and lead society into adopting innovative methods to resolve issues and improve health indicators in children adolescents and women. Actress and UNICEF Goodwill Ambassador Priyanka Chopra highlighted the importance of a healthy childhood with good quality health care as it sets the course for positive adolescence adulthood and parenthood. "We need to give girls the same opportunities as boys if we want them to be healthy and successful " she said adding a little encouragement from the family and community goes a long way in helping girls become community leaders and achieve their dreams. "Let s start valuing the girl child. I hope that by lending my voice I can make a difference to their lives " she said. The 2018 Partners Forum in December will provide a unique platform to the alliance of more than 1 000 organisations from 92 countries.